One of the most visually stunning (for the Wii) games for the Wii (I really have to stress that) is finally getting released outside Japan :). 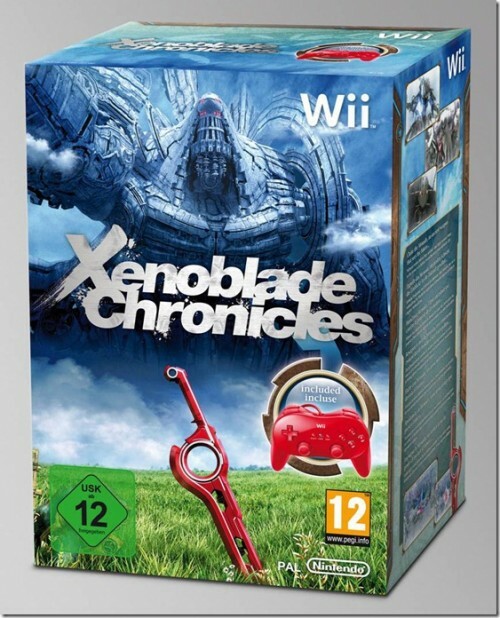 Nintendo of Europe has confirmed that Xenoblade Chronicles will be released for the E.U. on September 2nd. No word on the U.S. release but Nintendo of America seems to be taking it into consideration *crosses fingers*. Xenoblade has also been confirmed to be getting a pre-order bundle with the game and a red Classic Controller Pro (if the black Classic Controller Pro from the Monster Hunter Tri bundle didn’t appeal to you). The pre-order bundle also comes with three posters signed by Tetsuya Takahashi, president of Monolith Soft and executive director of Xenoblade Chronicles. The cover of the game itself will be reversible and include the alternate cover voted for by fans. No word on pricing for the Pre-order bundle yet but hey, it’s time to dust off your Wii people.